Home>Gifts for him>The wet shave>Wet shave sets with razor, stand and brush>Brown leather travel case with Mach 3 ® razor, nail clippers and tweezers. Brown leather travel case with Mach 3 ® razor, nail clippers and tweezers. 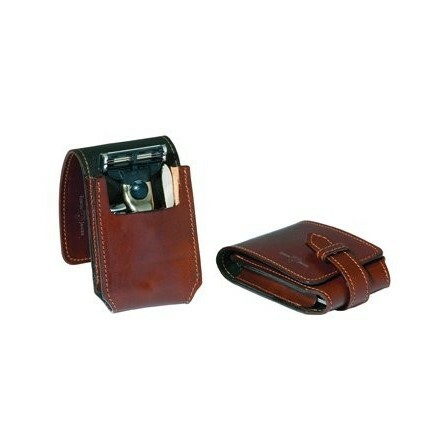 Dark brown leather case with chrome plated accessories including a Mach 3 ® travel razor. 9.5cm wide, 2 cm deep, 6 cm tall. small but perfectly formed. In addition to the razor there is also a pair of tweezers and nail cutters. Beautiful gift - ideal for the man who has everything! Ideal for taking your wet shave razor on holiday or on business trips. Small enough to put in wash bag. Comes boxed. Mach 3 razor ® included in this hand finished gift. 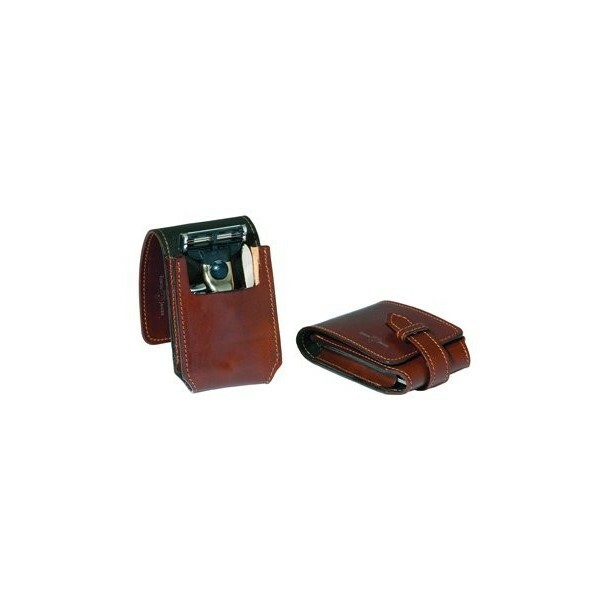 The rich chestnut brown leather case is hand made from the finest quality leather. Secured with a press stud and tab.